Monarch Wealth Management is proud to serve the Rochester, NY area with an array of financial services. Learn more about us by clicking here. Copyright © 2015 Monarch Wealth Management. Disclaimer: The content is developed from sources believed to be providing accurate information. The information in this material is not intended as tax or legal advice. Please consult legal or tax professionals for specific information regarding your individual situation. Some of this material was developed and produced by Basch Solutions to provide information on a topic that may be of interest. Basch Solutions is not affiliated with the named representative, broker-dealer, state- or SEC-registered investment advisory firm. The opinions expressed and material provided are for general information, and should not be considered a solicitation for the purchase or sale of any security. Securities offered through LPL Financial, Member FINRA & SIPC. Investment advice offered through Private Advisor Group, a Registered Investment Advisor. Private Advisor Group and Monarch Wealth Management are separate entities from LPL Financial. 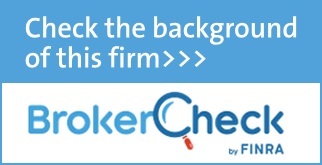 Access to BrokerCheck. The LPL Financial Registered Representatives associated with this site may only discuss and/or transact securities business with residents of the following states: NY, FL, OH, TX, NC, SC, IL, AZ.